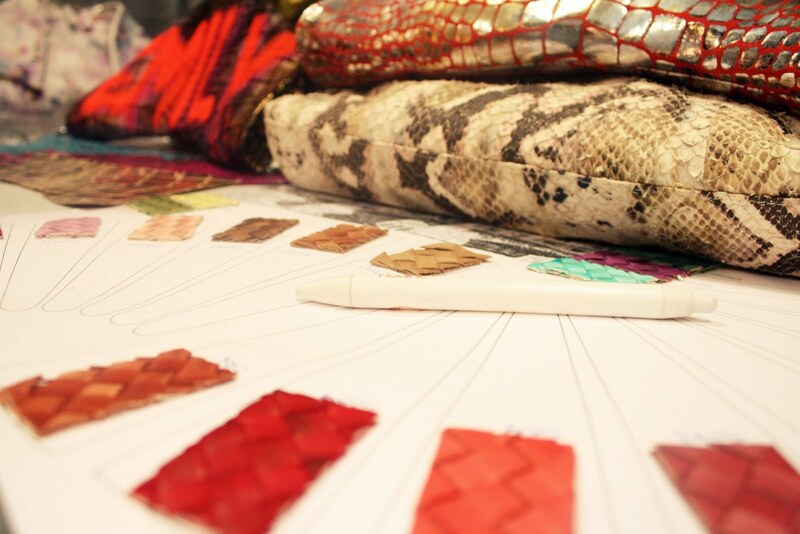 A peek into Spring '12! 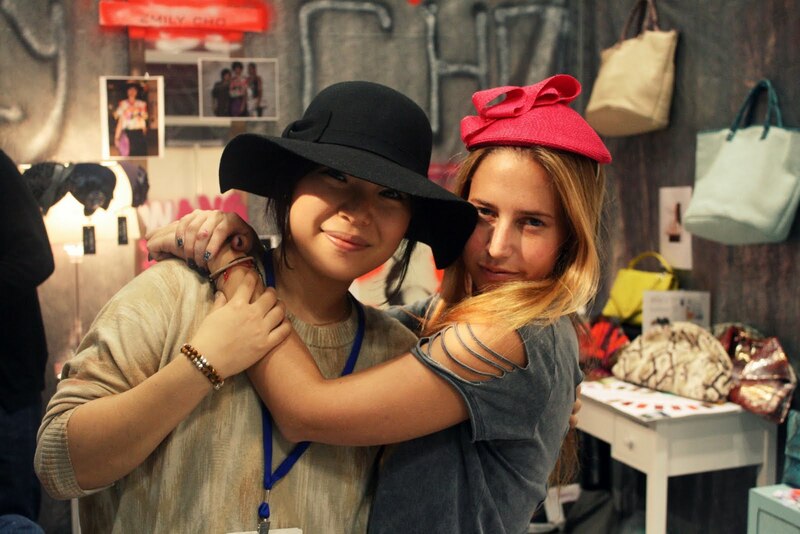 The Emily Cho design duo acting silly in Sherel's hats! I made a visit to Coterie earlier this week to visit my good friends Emily and SJ of the handbag label, Emily Cho! 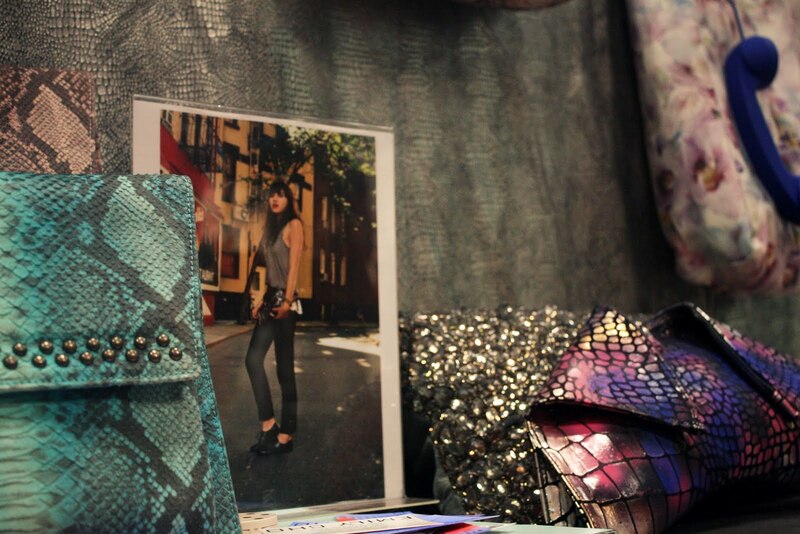 Coterie is basically the Vegas Magic Trade Show of NYC. I love how crazy fun these girls are! 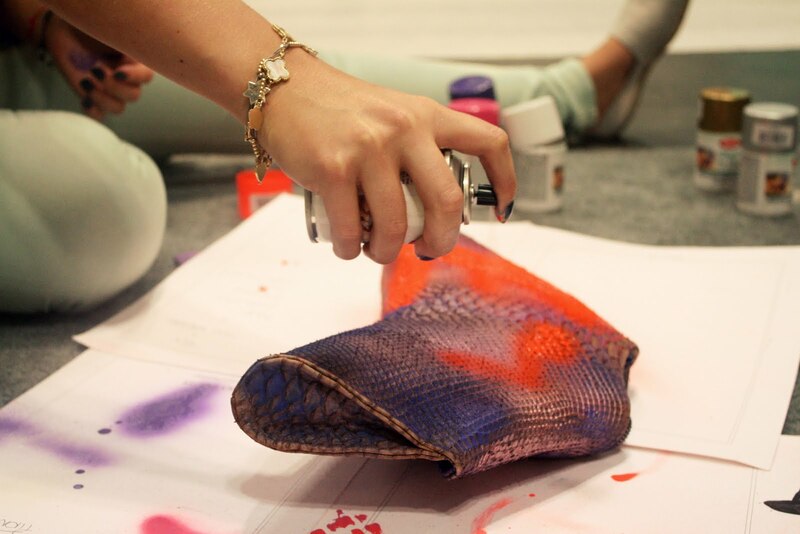 When I arrived, they were already experimenting with SPRAY PAINT, and omg, never have I ever thought I'd have so much fun! 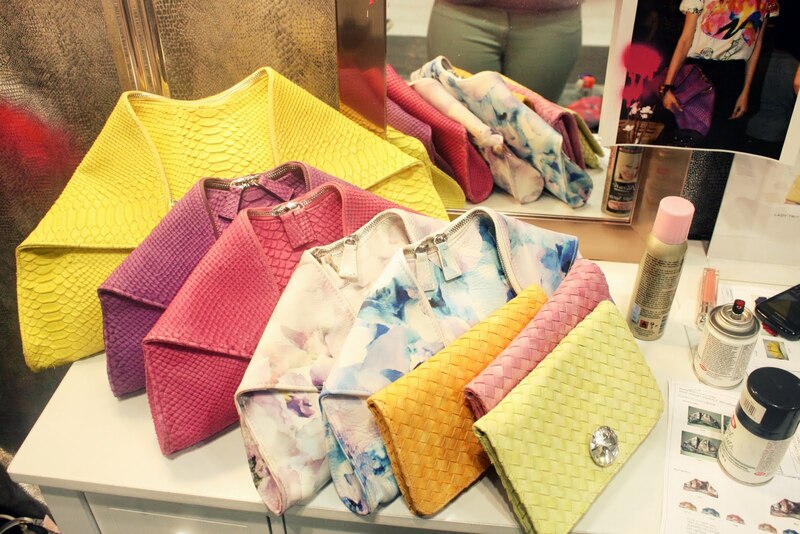 We basically took the handbags and started mixing colors and getting downright silly. I even took the stuff to sign their booth with. How cool is that? I've always been a huge fan of Emily Cho ever since I started sporting this gorgeous handbag earlier this summer. Their folded clutches are so stunning and unique. The shape gives any look a cool, edgy look. I'm currently lusting over their oversize folded clutches. 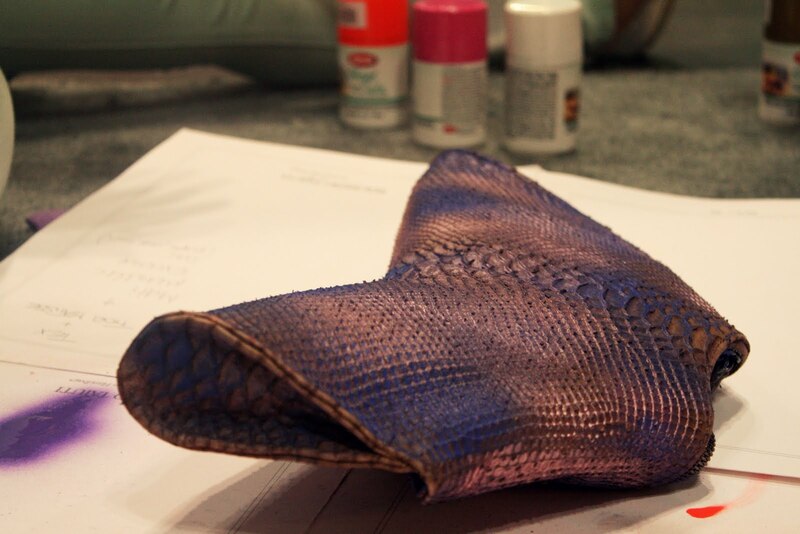 A clutch that can actually accommodate things is pure genius! 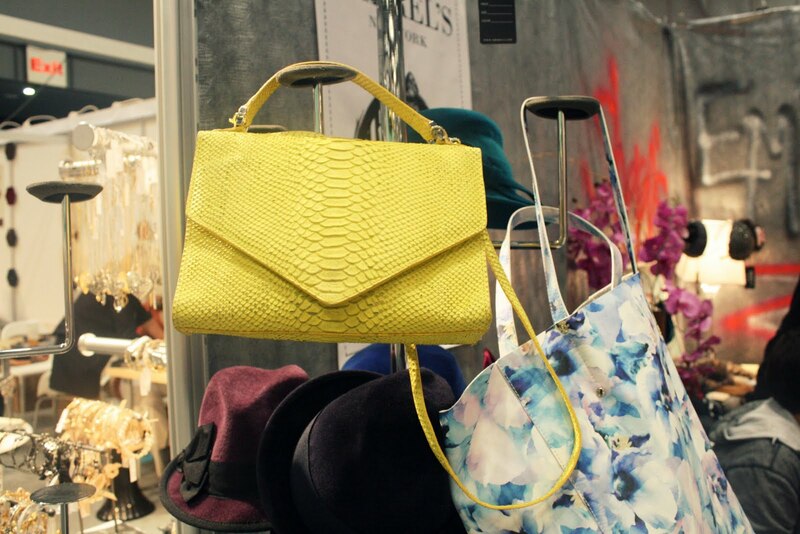 I've also just started carrying that bright yellow squared handbag from the Spring '12 collection during NYFW. It grabs the attention of so many people when I wear it. More photos to come! 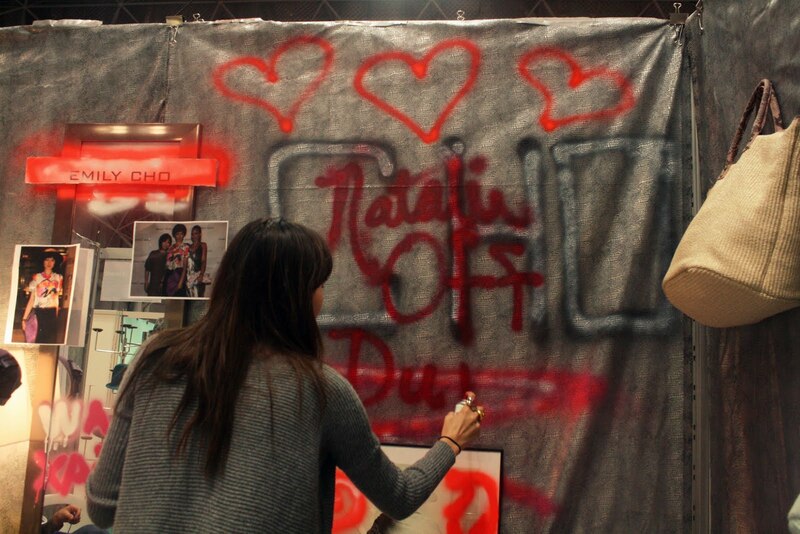 For now, enjoy this insane spray painting session. And yep, we moved on to completely destroying (I mean, personalizing) Emily's jeans! Visit the Emily Cho shop!